No, we didn’t discuss beer. Though that would have been fun. 😉 Look closely in the bottom right corner. 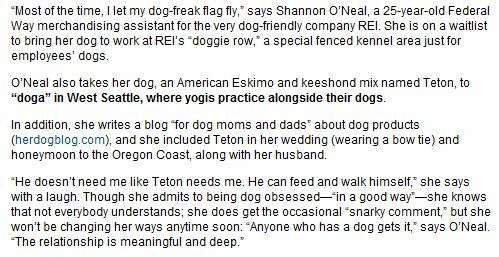 The Little Blogger and I couldn’t be more thrilled to have been both quoted and photographed for Seattle Magazine’s Seattle’s Dog Obsession article. What an amazing experience! Luckily, I used my handy dandy snipping tool (!) 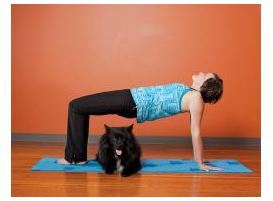 yesterday evening to capture these snippets from the article so you can check it out right here on Her Dog Blog. The Little Blogger was a pretty good sport for our photo shoot. It lasted about 20 – 30 minutes in total and we took a lot of shots. I’m eager to see what was used for the actual magazine, as well. 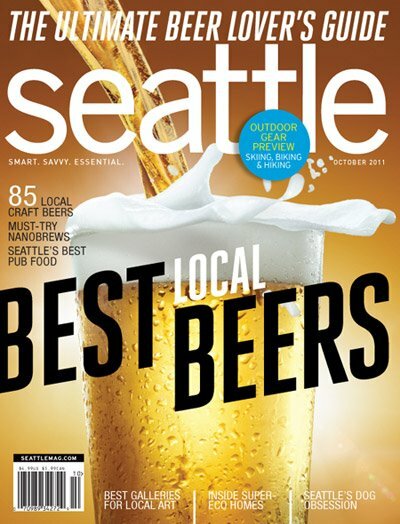 If you’re here because of Seattle Magazine, thank you for visiting our site! I blog twice a week (Tuesday and Thursday) with an occasional weekend post. We hope you’ll stick around for a while! As if this week couldn’t get more exciting, this Sunday we’ll be walking in the Seattle Humane Society’s Walk for the Animals. It costs just $30 to enter the walk and you can register as an individual or join a team. If you’re interested in joining my team, contact me at herdogblog@gmail.com. All proceeds from this event benefit animals at the Seattle Humane Society. Teton came from a rescue organization called People United for Pets, so any and all rescue groups have a special place in my heart. After the 2.25 mile walk, we’ll be at Fido Fest, which should be a rockin’ good time. I’m a product-nerd so I can’t wait to see what vendors are in attendance. I hope you’ll join me in the Walk for the Animals this weekend. If you are unable to walk, please consider making a donation to the Seattle Humane Society. Every donation makes a positive difference in the lives of homeless animals in Seattle. See you Thursday for a dog safety product review! Posted on September 20, 2011 by Shannon	This entry was posted in Bookshelf, Web. Bookmark the permalink. How exciting! I’ll pick up that issue for sure now!